TOTALLY RENOVATED SINCE 2014! 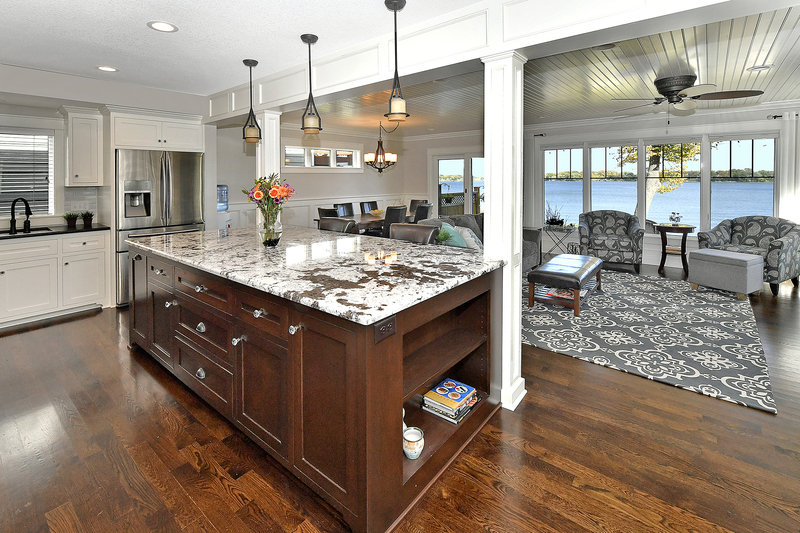 Stunning, turn-key lake home offers an open floor plan with breathtaking views of Crystal Bay. Fabulous vaulted owner’s suite with private deck overlooking the lake and 3 bedrooms on one level. Upgraded features include enameled woodwork, granite serving buffet in kitchen with 2 beverage fridges, enameled bead board ceiling in dining and family room, attractive barn door on upper level laundry & more. Amazing panoramic views and ready to move into! Dock included.